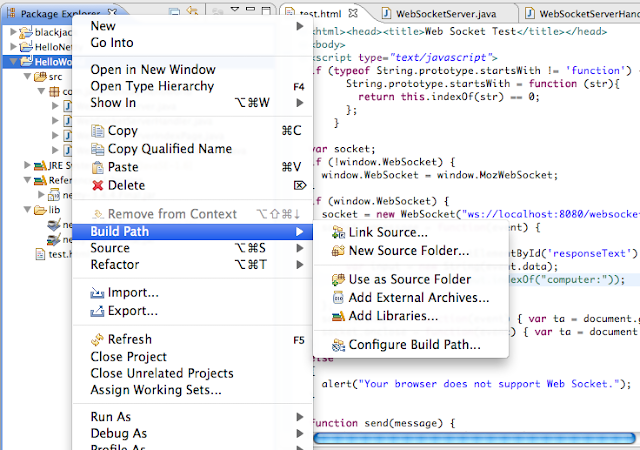 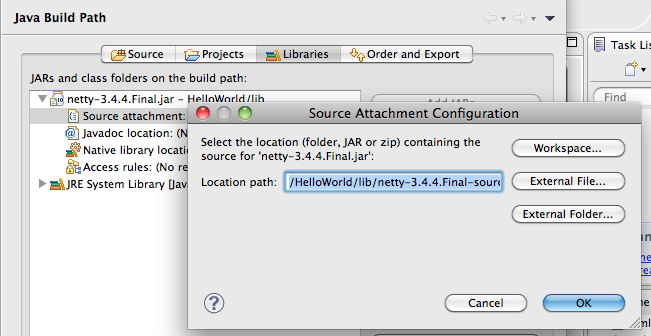 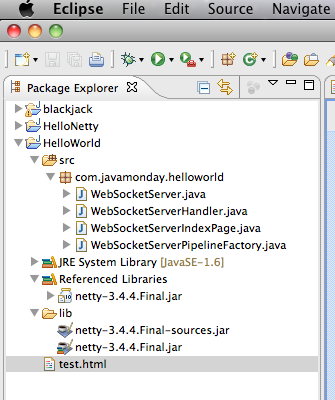 S3 : Create "lib" folder and paste 2 packages : "netty-3.4.4.Final-sources.jar" and "netty-3.4.4.Final.jar" to "lib"
S4.1 : Add lib : Click right mouse to HelloWorld ->Build Path -> Configure Build Path Choose "Libraries" tab -> Add JARs -> lib -> "netty-3.4.4.Final-source.jar"
S6 : In Src, have 2 files that you need to care to edit : "WebSocketServerHandler.java" and "WebSocketServerIndexPage.java"
S6.1 : In "WebSocketServerHandler.java" : we care to "handleWebSocketFrame()" method. 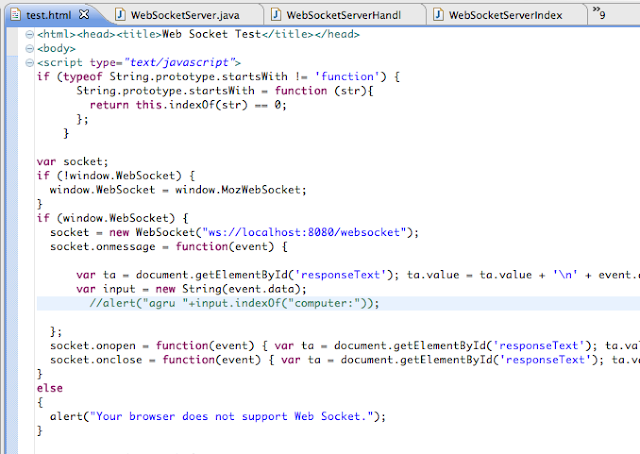 This's method that u can do. 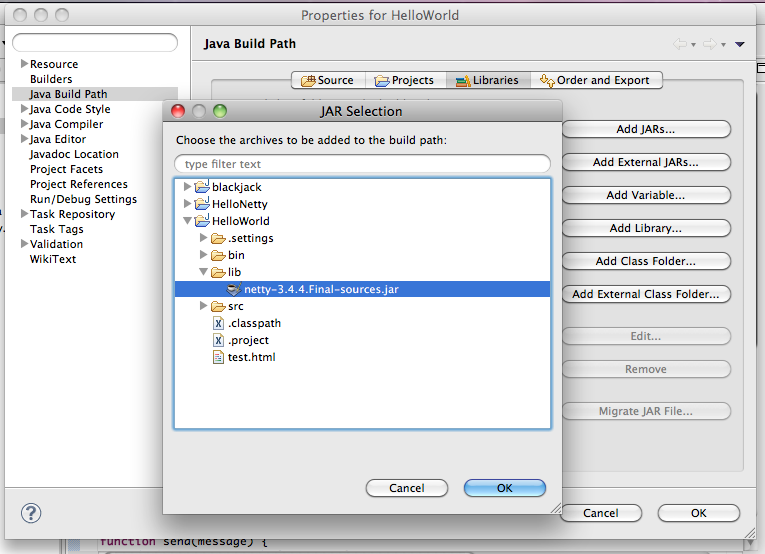 Cause it's simple helloworld project, so, u can edit directly in this. 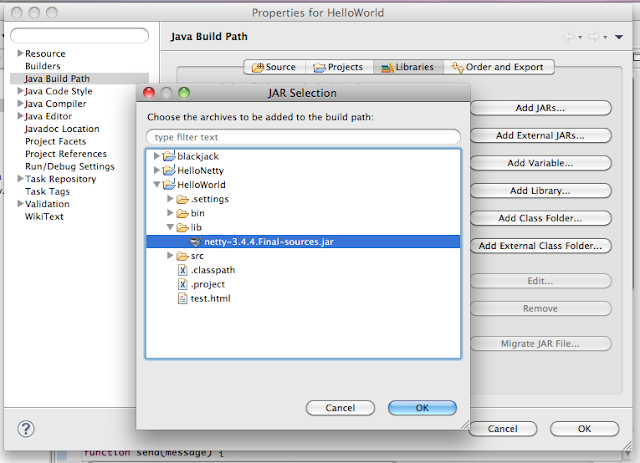 But if your project has big, you should write others methods to clear seeing and easy manager, then, call those methods in this method. 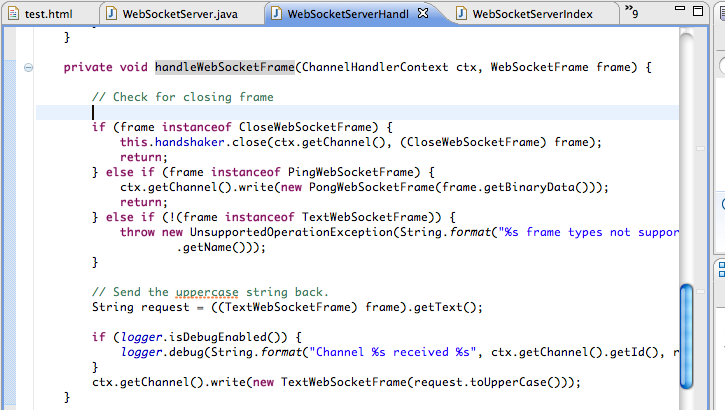 S6.2 : In "WebSocketServerIndexPage.java" : it's client. 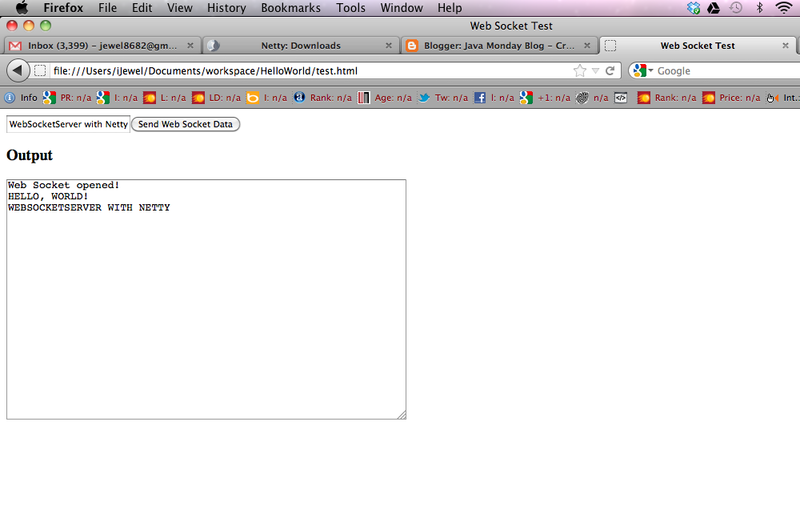 But to easy, you can create new html in others folder to edit. 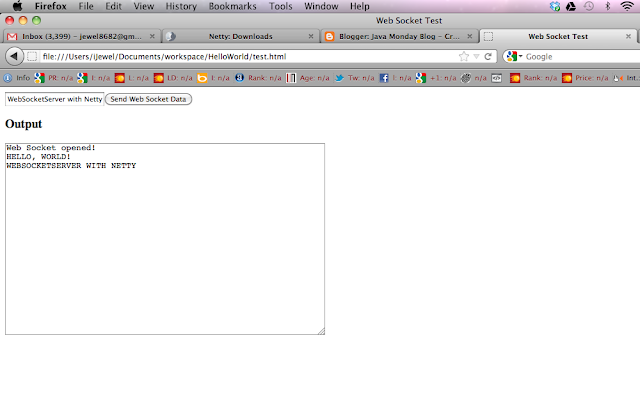 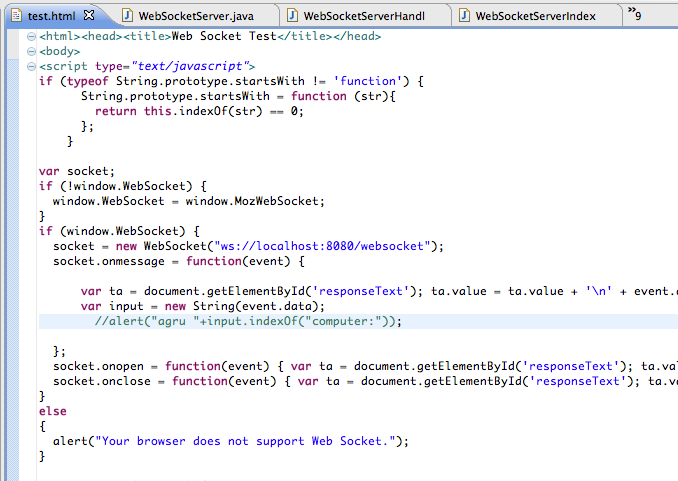 Example, i create "test.html" file to test. 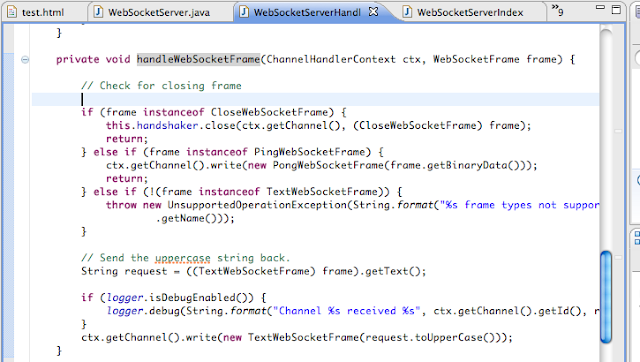 S7.1 : Run Server : go to "WebSocketServer.java" file, and run. could you make source code available on GitHub?